Looking for a USED GS-280MS? commitment to excellence in providing the machining industry with the ultimate turning power has resulted in worldwide recognition and respect of the goodway high precision cnc turning centers. goodway provides 25 years of constant improvements and expansions of our cnc turning center machine offerings to perennially achieve our goal in bringing goodway customers new and innovative manufacturing concepts. 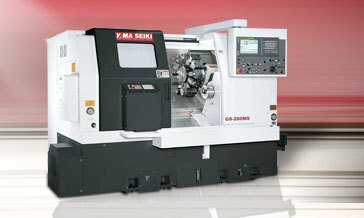 Looking to Purchase a New YAMA SEIKI GS-280MS? 4240 S. 74th E. Ave.